In my last post, 3 Quick & Easy Breakfast recipes, I listed out three (ok, four) breakfast foods that I love to make in the morning. These recipes don’t require slaving over the kitchen or watching the time before you have to run out the door. They are just as the title states, “quick & easy” and they are healthy and delicious too! 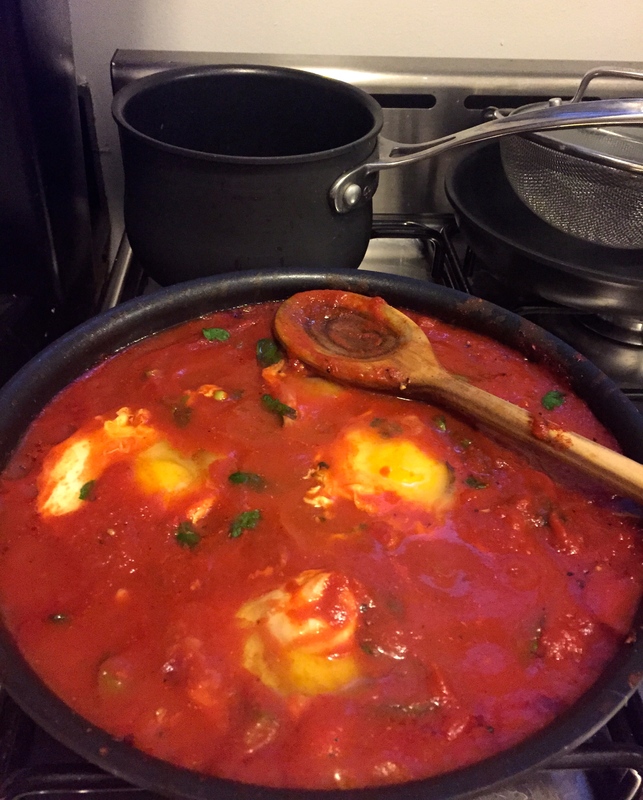 I wanted to post my favorite shakshuka recipe because it is a popular one, and it is easy. You can make it at home in just 10 steps. 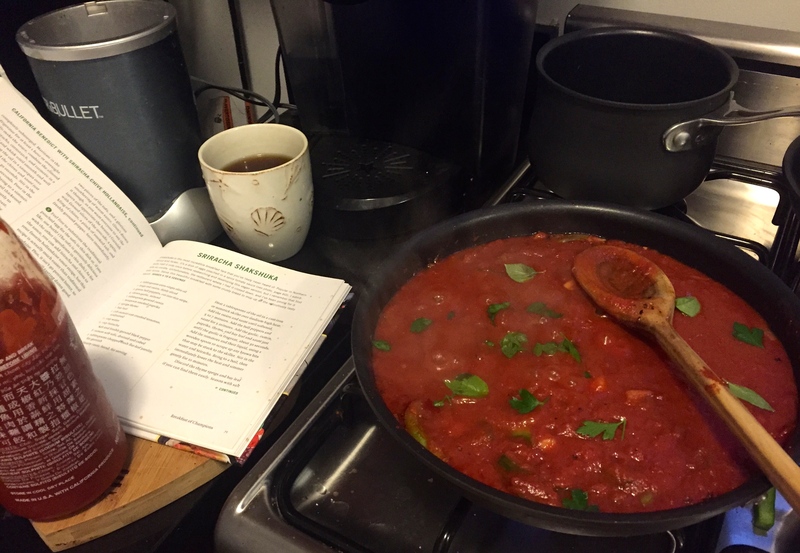 Enough of me raving… time to get cooking. Adapted from The Veggie-Lover’s Sriracha Cookbook. 1. Heat 2 tablespoons of oil in a cast-iron or nonstick skillet over medium heat. 2. Add the onion and sauté for about 5 minutes. 3. Cut up the green bell peppers and sauté for about 5 minutes. While you are waiting, add in the garlic, paprika, and any extra spices and sauté. 4. Stir in the tomatoes and sriracha using a wooden spoon. 6. Bring to a boil, then lower the heat and simmer for about 10 minutes. Season with salt and pepper. 7. Make 4-6 divots in the mixture (depending on how many eggs you want to add). 8. Crack the eggs into the divots. Or, crack in a separate bowl then scoop them into the divots you made. 9. Cover and simmer about 15 minutes or until the eggs are not too runny. 10. Remove from the heat, garnish with parsley, and serve. Enjoy! Let me know what you think of this recipe or if you have any ideas for making this classic dish even better. Looks delicious. Plan to make this for dinner one night. Thanks for the recipe.